AR500 Armor® Level III+ Body Armor is manufactured from an extremely rugged ballistic grade steel core and coated with our PAXCON (a division of Line-X) spall and fragmentation protective coating. Our ballistic steel plate is unmatched in the industry and is formulated and treated specifically to our specifications for improved consistency, durability. 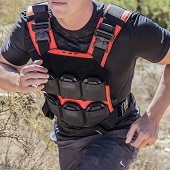 Our ballistic plate core is stress fracture resistant, features an ultra-low profile ballistic core of only 0.26”, and is designed to handle extreme abuse in day to day use, training, and less than ideal storage conditions. AR500 Armor® body armor will outlast alternative armor solutions such as Ceramic, Dyneema, UHMWPE, and raw/uncoated steel trauma plates. The AR500 Armor® 10” x 12” Level III+ Back Plate is ideal if you’re looking for increased back side coverage in a package that fits in nearly all plate carriers on the market. Our 10” x 12” Back plate will fit in pockets designed for Medium and Large SAPI shooters cut style body armor plates. Available only in a flat model this is an extremely cost effective solution for the back pocket in your plate carrier, or anywhere else you need the ability to add rifle threat protection. 10” x 12” Rectangle back plate body armor will fit in a majority of plate carriers capable of accepting up to Medium and Large SAPI plates. The AR500 Armor® spall & fragmentation mitigation coating is simply the best in the industry. PAXCON (a division of Line-X) is a military grade protective coating designed for spall and fragmentation containment. PAXCON protective coatings have been used to increase protection on the walls of the U.S. Pentagon. This Line-X coating completely seals our armor helping reduce spall and fragmentation, and additionally protects it from chemicals, liquids, and other harsh elements. This fully sealed design combined with our advanced ballistic plate result in the Strongest, most Reliable longer term, Maintenance Free body armor solution in the industry. More details on our PAXCON/Line-X spall and fragmentation mitigation protective coating can be found by Clicking Here. AR500 Armor® body armor undergoes rigorous pre and post production certification, independent, and in-house ballistic resistant tests to Level III+ standards. 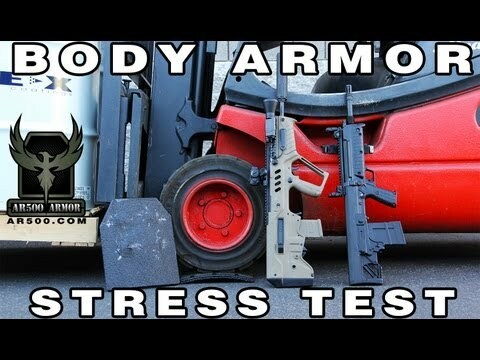 All body armor passes through multiple quality control checkpoints during our manufacturing process. 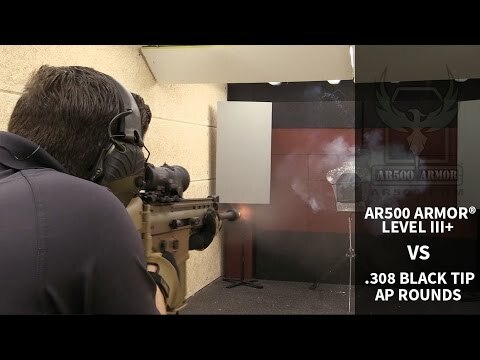 You're reviewing: AR500 Armor® Level III+ Square Back Plate 10" x 12"